Set the I/II switch to the right to enable two-way communication. Network Mix Back makes it easy to use a wireless in-ear transmitter with an A360 Personal Mixer. Each A360 Personal Mixer connected to a D800 can send its stereo mix back into the network so that it can be connected to a Pro16 output device such as the AN-16/o v.4 Output Module or sent back into a Dante network when using the D800-Dante version of the product. The D800 Mixes Out port is used with the AN-16/o v.4 to provide the analog version of the Network Mix Back feature. No additional hardware is needed if you use the Dante version. 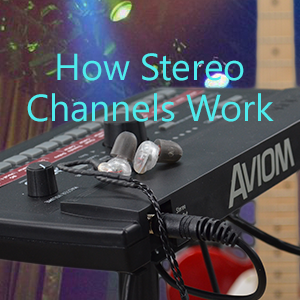 Up to eight stereo mixes (16 channels total) can be connected to wireless in-ear system transmitters; the A360 can then function as a remote controller for the performer’s mix without needing to connect earbuds or headphones to the A360. The front panel mode switches on the D800 must be set to the bidirectional position (II) for each A360 that will use the Network Mix Back feature. Each of the eight A-Net ports on the D800 can provide one stereo mix from an A360 Personal Mixer to the Mixes Out port (or to the Dante network when using the D800-Dante). The stereo mix from an A360 is assigned to a pair of Mixes Out channels that are mapped as seen in the table below. To use Network Mix Back with an AN-16/o v.4 Output Module* to provide analog connections to a wireless in-ear transmitter, you’ll need analog breakout cables. The AN-16/o v.4 has two DB25 multipin connectors on its rear panel; each provides four stereo pairs of outputs. Breakout cables are available in a variety of configurations and lengths. All you need to do is connect the channels corresponding to each A360’s mix to the inputs of the wireless in-ear transmitter, as seen below. The Mixes Out port on the D800 is connected with a Cat-5 cable to the A-Net In on the AN-16/o v.4 Output Module. Two channels from the DB25 multipin cable are connected to the inputs of the in-ear transmitter. If you have the D800-Dante version of the product, the eight Network Mix Back stereo mixes from the A360 Personal Mixers are also available in the Dante stream as D800 transmit channels 1-16. This allows you to route the signals into Dante-enabled stage boxes, consoles, processors, etc., using the Dante Controller routing software. 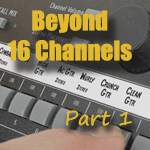 Using Dante does not require an AN-16/o v.4 Output Module to be connected since all patching is done digitally. Devices that can transmit Dante channel appear horizontally on the Routing grid of Dante Controller. Just select a channel routing in the X/Y grid and click; a green check mark confirms that the routing is valid. The X/Y grid in Dante Controller is used to map channels from the D800-Dante to a mixing console or directly to a wireless in-ear transmitter. AN-16/o v.4 Output Modules with serial numbers 51162 (built in 2013 and earlier) and lower are compatible with only Pro16 A-Net and not Pro16e A-Net. 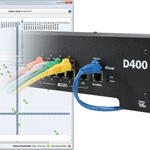 The higher channel count Pro16e version of A-Net is used by the AN-16/i v.2 as well as the D800 and D400 line of A-Net Distributors and is required for this feature. A360 Personal Mixers and D800s built before January 2015 need to have the current firmware installed to enable this feature. units built after this date do not need a firmware update.